Christ Legends – Selma Lagerlöf was the first woman to win the Nobel Price in literature. Here are her amazing stories about Christ, Christ Legends. If you are not familiar with Selma Lagerlöf you might object to the idea of creating stories about Christ out of the historical context, but Selma does this in an a way that ads to what we know about Christ. These stories are widespread here in Scandinavia and often used for reading loud during Christmas and Easter. 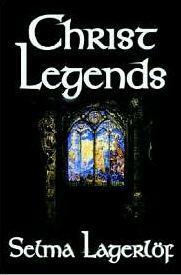 Christ Legends stories are widespread in Scandinavia and often used for reading loud during Christmas and Easter.